One of the best reminders that NRA really does represent a real grassroots movement is that members directly elect the board of directors. There’s a clearly defined way to become a voter and the results are published openly. I’ve added this year’s numbers to my collection of NRA voting data. There are a few interesting differences this year over previous years. The number of voting members who were sent ballots has increased 36.5% since I started keeping track in 2006. Most of that growth has happened since 2011 when there appears to have been a cleaning of the rolls. The yellow bar is how many were mailed back vs. how many were mailed in red. 2016S represents the special recall election of 2016. 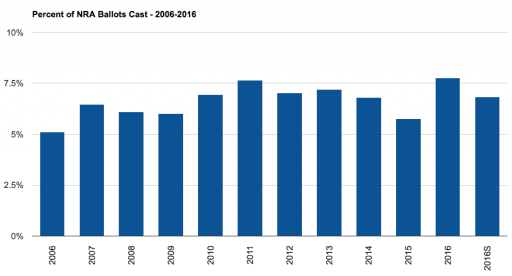 The number of voters actually participating in the elections is, unfortunately, not very high and not growing substantially. But given that we have a growing problem of too many celebrities and are losing activist leaders with diverse skills, this may not be a great number. It would probably be better to see more informed voters rather than increasing numbers of people voting for any name they vaguely recognize from popular culture. Perhaps one of the most interesting statistics is the fact that “last winner” was on a fewer percentage of ballots than ever before. The same was almost true for the top vote getter as well. (Technically, last year’s top vote winner, Ronnie Barrett, was on a lower percentage of the ballots, but not by much.) Those two numbers indicate to me that more voters are more likely bullet voting – voting only for a handful of candidates instead of all 25 slots. That’s actually a much smarter way to vote if you’re interested in getting key candidates on the board. Increasing the votes of those who you care about less could end up hurting your favorites on the ballot. Another good number from this election is that the percentage of invalid ballots is still low – 2.79%. That’s compared to a high of 8.71% from the years I’ve been tracking. The most common mistake is marking too many candidates. But the next highest mistake is an easy one to fix – remembering to sign the envelope before you seal it and mail it. A whooping 723 voters didn’t have their ballots counted because of this authentication error. What Does it Take to Win an NRA Board Seat? I was thinking the other day how fatigued I can get from all the complicated mailings I receive just from the 2A groups I support. From trinket offers, to NASA length checklist “surveys” that are nothing more than a plea for money. I wonder if this has anything to do with low voter participation. Exercising your 2A and defending them can be like having a second wife. Except for us New Yorkers. Infantilized to the point where we mostly fantasize what it’s like to exercise our 2A rights. 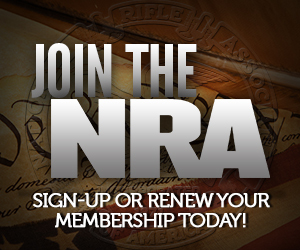 With NRA, you can request to be put on a list where they won’t mail you a bunch of crap. That said, the ballot comes in your magazine. If you take it digitally, then it does come separately and you’ll have to watch for it. But it does arrive in a giant mailer that is typically larger than what most fundraising pleas will come in. I am aware of the NRA option and appreciate the reply. It still can be a bit much if you support a few local and national groups. Though I’m a huge fan of Philip Van Cleaves style when it comes across to communicating the cause via the VCDL emails. 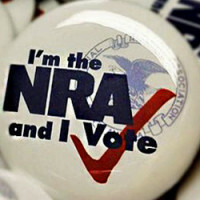 A growing problem of too many celebrities running for the NRA Board? I have read/heard that common opinion for years, but how is it supported by facts? Sandy Froman “a Jewish intellectual from Harvard Law” was in the top three vote getters this year. If we are in a world where a publishing, practicing lawyer counts as a celebrity, that sounds like a win for everyone. My interpretation would be that a synonym for “celebrity” in this case would be “name recognition.” Anyone who has been around awhile remembers Sandy Froman’s name positively, even if they couldn’t recite a single thing from her resume. If name recognition were somehow an indicator of actual virtue, the election results would suggest that Ted Nugent and Oliver North have been of greater value to our firearms rights than Sandy Froman, when in fact I can’t remember either of them doing much in that regard but flap their gums. This is not how I am defining celebrity at all. Being known primarily only within the community for work contributed to the community is not a celebrity. A celebrity is someone more widely known for work in the entertainment industry. Sandy is not someone I consider a celebrity, and I also did not ever argue in this post that the top vote getters are the major celebrities on the board. If you look at the results, many celebrities actually fall closer to the middle of the pack. In terms of celebrities on the board, my biggest concern is people whose only “contribution” is being in the public eye and who don’t show up to board meetings or do something meaningful in their role for the cause. If they show up and actually do things that promote the efforts, then I’m happy to have them on there. I believe the graph demonstrates exactly how we ended up with the POS in the white house. This country does not become involved in our elections. The voters have been mislead by the anti American press and public educators. They no longer believe in America because they are taught to take, take,take instead of making America stronger. The freeloaders in this country are helping the main stream liars e.g. press and the establishment politicians to convince us to give up. The last 7 and 1/2 years should convince every citizen that we must become involved in our country to save it from people like obama and clinton.